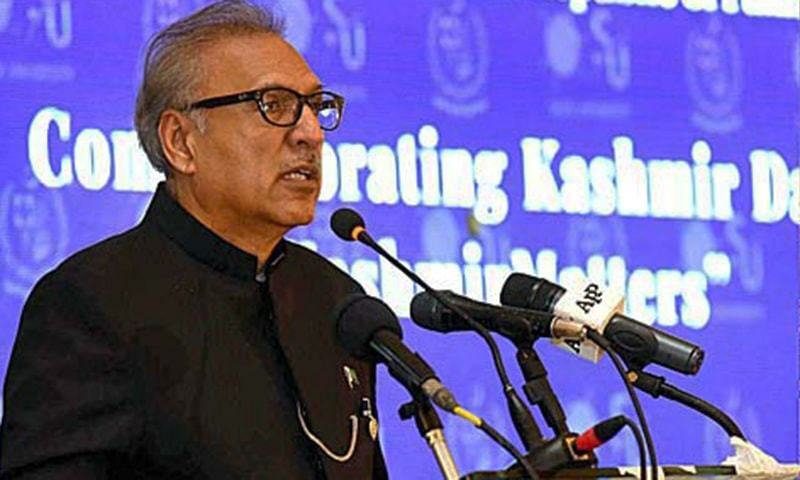 President Arif Alvi on the occasion of Kashmir Solidarity Day demanded the Indian government uphold the rights of the Kashmiri people instead of trying ─ and failing ─ to "justify its terrorism" against innocent citizens by pushing a "false narrative of 'killing militants'." Allow IOK leaders to travel freely and "make their case abroad"
Allow international rights observers into IOK to "see the situation for themselves"
The president urged the Indian government to lift restrictions on electronic communications in Kashmir so that international media and social media are in the know about what is happening in the occupied territory. "If you are in the right, the world will come to know about it. And if you are in the wrong, the world will find out about," President Alvi challenged the Indian government. The president also asked the United Nations to send a fact-finding commission to IOK and "fulfil the promises it made to Pakistan and India". "I salute your struggle," he said, addressing the people of Kashmir. "Pakistan is with you." The president, in a separate special message, recalled that the purpose of Feb 5 is to "demonstrate to our Kashmiri brothers and sisters and the world at large that we have not forgotten the long-pending dispute of Jammu and Kashmir,and the struggle of the people of Indian-occupied Kashmir against woeful Indian occupation." The president hit out at the international community's indifference to grave human rights violations by Indian forces in Kashmir, which he said "raise doubts in the minds of Kashmiris, hinting at a double standard where every atrocity goes unpunished and every human rights violation, uncondemned." "It reduces the UN Human Rights Charter to mere verbal rhetoric," he stressed. "Behind its false narrative of 'killing militants', India has been trying to justify its terrorism but has failed miserably," Alvi asserted. Alvi described a report by the UN Office of the High Commissioner of Human Rights documenting alleged human rights violations in Kashmir as a "turning point and a watershed moment for the Kashmiri community all over the world". The president said Pakistan supports the proposals contained in the report and calls for the expedited establishment of a Commission of Inquiry to probe the human rights situation in IOK as per the report's recommendations. He reiterated Pakistan's "unflinching solidarity" with the people of occupied Kashmir, Radio Pakistan reported. "Pakistan ... pays homage to the heroes and martyrs of this epic struggle for liberation that has become a living symbol of the indomitable human spirit. Your cries for azadi cannot be suppressed," the president said. "We reassure our Kashmiri brothers and sisters that we will remain consistent in our principled position on Kashmir. The entire Pakistani nation stands with its Kashmiri brethren in their valiant struggle to achieve the legitimate right to self-determination." "It is our firm belief that The Kahsmiris will succeed in their struggle," he added. The UN Resolution on Kashmir adopted on January 24, 1957, states: "The final disposition of the State of Jammu and Kashmir will be made in accordance with the will of the people expressed through the democratic method of a free and impartial plebiscite conducted under the auspices of the United Nations." President Alvi will also participate in a function in Islamabad in the evening. A seminar will be held at President House in which experts will share views on the Kashmir dispute and human rights violations in the held valley. Prime Minister Imran Khan in his special message observed that the Kashmiri struggle for freedom is gaining strength with each passing day, and deplored that despite the passage of 70 years, the dispute remains unresolved. The premier pointed out that despite the passage of seven decades, the Kashmir dispute remains unresolved. "Ruthless killings, pellet injuries to children and infants, rapes and torture; Indian atrocities in Indian-occupied Jammu and Kashmir continue unabated and so does the spirit and courage of Kashmiris in their fight to achieve the legitimate right to self-determination." The premier noted that the "number of tortures, rapes and killings perpetrated by the Indian occupation forces against innocent Kashmiris has become a case study in unprecedented violence." "Thousands of innocent Kashmiris have been brutally tortured and extra-judicially killed during forced disappearances or illegal custody by the Indian occupation forces, which enjoy full immunity under draconian laws." The observance of Kashmir Solidarity Day commemorates the "strong and unflinching resolve of the Kashmiris to achieve the inalienable right to self-determination from Indian subjugation which does not weaken, rather strengthens with every passing day, and with each new act of Indian cruelty," the prime minister concluded. Foreign Minister Shah Mahmood Qureshi in a special message on Tuesday reiterated the Pakistani nation's resolve to stand in solidarity with Kashmiris battling Indian oppression and brutality in Indian-occupied Kashmir. "Today is February 5, and the entire Pakistani nation is standing in solidarity with Kashmiris," Qureshi said from London ─ where he is scheduled at attend a conference on Kashmir ─ in a video message on Tuesday. "I would have been very happy if the Hurriyat leaders were free, if their passports had not been confiscated, if they had been given the opportunity to express themselves," Qureshi said. "Today people would not be chanting slogans of freedom in the shadow of bayonets." "They will get their rights in the end," the foreign minister asserted. "As the resolve, courage and determination [to struggle for freedom] has been passed onto the younger generation, it has become clear that this movement will reach its conclusive end." In a separate message shared on Radio Pakistan, Qureshi said that India's consistent denial of the right of Kashmiris to freedom is a telling example of impunity. "The human rights violations in IOK are a blot on the conscience of humanity and demand immediate corrective action by the international community," he stressed. The foreign minister noted that reports from the Office of the High Commissioner for Human Rights on Jammu and Kashmir and the United Kingdom's All-Parties Parliamentary Group on Kashmir have removed the veil from decades of obfuscation by India of massive human rights violations and unspeakable crimes against humanity in the valley. "Pakistan remains committed to finding a just and peaceful resolution to this long standing dispute. Our principled position on the Jammu and Kashmir dispute is based on none other than the United Nations Security Council resolutions. These resolutions provide for the final disposition of Jammu and Kashmir dispute through a free and impartial plebiscite under the auspices of the United Nations," Qureshi explained. The foreign minister pointed out that Kashmir is the "core dispute" between Pakistan and India. "The dream of peace and prosperity of the people of this region will remain elusive without resolving this dispute in accordance with the aspirations of its people," he added. Qureshi urged the international community to not forget its obligation towards the people of Kashmir, and to understand that continued apathy to the sufferings of the Kashmiri people could have disastrous consequences, not just for the region but potentially for the world at large. Director General (DG) of the Inter-Services Public Relations (ISPR) Maj Gen Asif Ghafoor also tweeted a message in support of Kashmir. The DG ISPR said that the decades of atrocities engineered by Indian occupation forces in Kashmir "have failed to suppress [the] ever-strengthening, legitimate freedom struggle". "Determined Kashmiris shall succeed," he added. 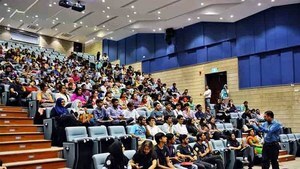 Ambassador to China Masood Khalid while addressing an event organised by Islamabad at Pakistan Embassy College Beijing said that instead of stopping state violence in IOK and recognising the right to self-determination of the Kashmiri people, India is playing a blame game in order to side-step the real issue and divert the attention of the international community. 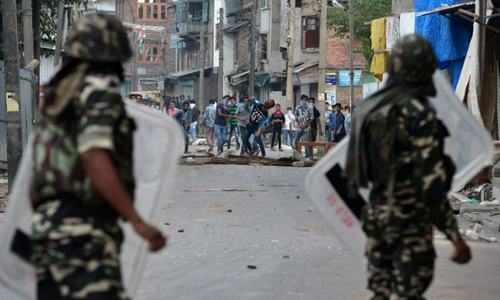 Khalid said that despite all measures to subjugate them, the spirit of the people of Kashmir remained free and alive, Radio Pakistan reported. Former Norwegian Prime Minister Kjell Magne Bondevik, who called on Qureshi in London, emphasised that resolution of the Kashmir dispute should be high on the agenda of the international community, Radio Pakistan reported. He reiterated that there was no military solution to this dispute and that peaceful and meaningful dialogue was the only way forward. Bondevik reaffirmed his commitment for the resolution of the dispute in accordance with the aspirations of the Kashmiri people and welcomed initiatives such as the International Conference on Jammu and Kashmir. The nation observed a minute’s silence at 10am to pay tributes to the Shuhada of Kashmir for sacrificing their lives for the right to self-determination. After that, a human chain was formed at D-Chowk in Islamabad with an active participation of people from all walks of life. Human chains will also be formed at all connecting points of Pakistan and AJK. I think, Govt to look into PTM demands first and than talk for kashmir. How about Sahiwal Carnage, Mr. President? Only an Indian can talk in favour of killers of Pukhtoon children. Nice try. Not! India cares only about the piece of land and will clearly kill as many people as it thinks necessary. They did exactly the same thing to us before we got together and snatched our independence in 1947. Looks like no serious work on hand. Please pressurise President to talk about these for their Azadi. Is he warning himself? Other way it makes no sense. What does he think of himself?! Who is he to demand India of anything? India the worlds largest so called democracy is ruling Kashmir against the will of the people, you know something is wrong when the Indian pm visits and Kashmir is on lock down. Give Kashmir back to the people. Rich coming from our head of state! put your house in order first. Hmm! 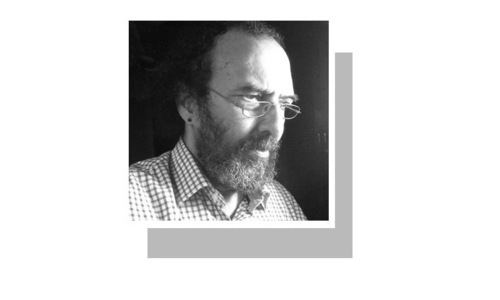 Diverting attention from the chaos that has been created in Pakistan? Good! Except Pakistan entire world is busy in building their economies. Looka like theres lot of free time for Pakistan. Why dont you spend your resources and time for the betterment of your country. World has no time to worry about others problems. Pls worry about S&P Rating first??? Pakistan should bother about giving freedom to the Baluch first. Good job Mr. President. A very comprehensive list. India will be forced to implement his demand right away unlike in the past where they have ignored similar demands by both civilian govts. and military regimes. They thought that they have strong case in icc and they will win, now same in u.n.
Will Pakistan give all those rights to Baluchi people also first. Nobody can demand like the president did, it does not go anywhere. They can only appeal or request. There lot of faults and mistakes in your own back yard Mr. President. @Sandeep, I think the UN resolution should be translated in Urdu and Arabic. Pakistani President is right here! Kudos to him and his efforts. Game of Indian's politician come to an end. Kashmiris have understood that Modi speech are nothing but empty slogan for his own party. The damage has been started and would end soon. Kashmir would be a free country. These protests would be the final nail in the coffin. Kashimirs would go soon protest world wide. If the US could leave Afghanistan and give them back what they own than why not Kashmir! Eye wash annual exercise. By the way what are our priorities Mr. President? @Fastrack, and then the Bengalis snatched their freedom from Pakistan. Why not government of both the side revisit , read and understand UN resolution. Make the case very easy and transparent. What about these same demands on Baluchistan. mind your own business and do something good for your people mr president. we know how to treat real indians . @Neil, "Why not government of both the side revisit , read and understand UN resolution. Make the case very easy and transparent." Indian govt doesn't have the guts to re-visit UN resolutions. That's why. @Raj, like what? Care to expand on it . @Shyam, I think you are too scared to even mention the word Kashmir and UN resolutions in the same sentence. Demand??? Since when India started to entertain Pakistan's "demands" ???? @Zulfiqar, as Baluchistan for Pakistan, Kashmir is an integral part of India. No country in the world have guts to say its not. India's sovereignty comes before any agreement or resolution including UN's. Whether to allow UN or any nation to step in India or not is the decision solely taken by India. No other country or org can change this decision. India never comprimises its sovereignty for any nation. Wonderful Demands. Mr President. Now, eat your lunch. Diverting attention from the real problem nation is facing. Good job!! @Fastrack - And Pakistan is not interested in land? Over 72 years of Pakistan history I have heard numerous statements on Kashmir by political leaders of all stripes similar to that of President Alvi but of no avail. What on more will do? And what did India say about the President's "demands"? He is in no position to demand anything. No harm in demanding something, anyone can demand anything. But wether one gets what he demands is based on ones capability, stature and control over whom you are demanding. That's where the rest of the world including India and even Afghanistan ignores your demands. @Ayman Gheith, forget who he is, does India disagree with the points he made? If so, just say it out loud you don't believe in the things mentioned in that list. @Zulfiqar, Have you read the UN resolution of 1948? Here it is for you and all others - Read the first part and tell me what you understand. This UN resolution is NOT binding. Later on, the Simla Accord came! Read that too! Please re-visit your backyard. Tell us what did you see and what did you say?! So let Pakistan comply with the first clause. @Zulfiqar, try fixing your existing problems before adding new ones. @Ashfaq, That is internal affairs of Pakistan. @Zulfiqar, read UN resolution before commenting. The fact is that no one is interested. No one is listening his point of view except himself. @Sai, Kashmir is not part of India. It’s occupied by India. The mere fact that they have half their army there is a testament to how threatened they feel about the will of the Kashmir people. They need army to maintain their oppression. @Zulfiqar, India have Accession to the entire territory, not Pak. India went to the UNO, not Pakistan. You will forget Kashmir for ever!. Kashmir will never be a part of India. Muslims will continue their struggle and struggle of 11 million people can never be subjugated. History provides enough evidence. India cannot finish off the Kashmiri population. @Zulfiqar, so if Pakistani army is stationed in Baluchistan then should we say it is occupied by Pakistan as per your stupid logic. Read and more importantly understand the UN resolution that you like to flaunt so much so you can stop living in fools paradise. Okay, congratulate each other for issuing strong statments/demands and wait for next year to do the same( if still in power ). @Vorshal Handa, that is not the two in resolutions on Kashmir self determination. Stop spreading misinformation. Learn to face the reality. @Byju, India is signatory on the UN resolutions. These resolutions have Nehru’s signature. If you cannot accept the fact that India has agreed to a plebiscite in Kashmir then that’s something you have to deal with. Come hell or high water Kashmiris will get their right of self determination. It’s just a matter of time. @The lost soul 80, try to stick to the topic of the article.